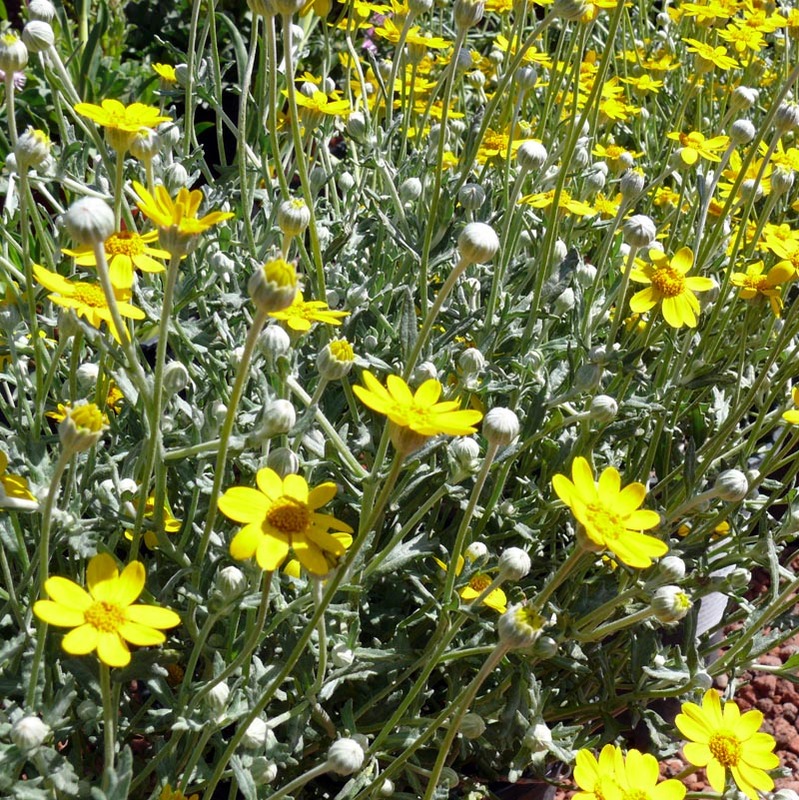 Pretty whitish to grey-green woolly leaves with stunning displays of yellow daisy flowers throughout the spring. 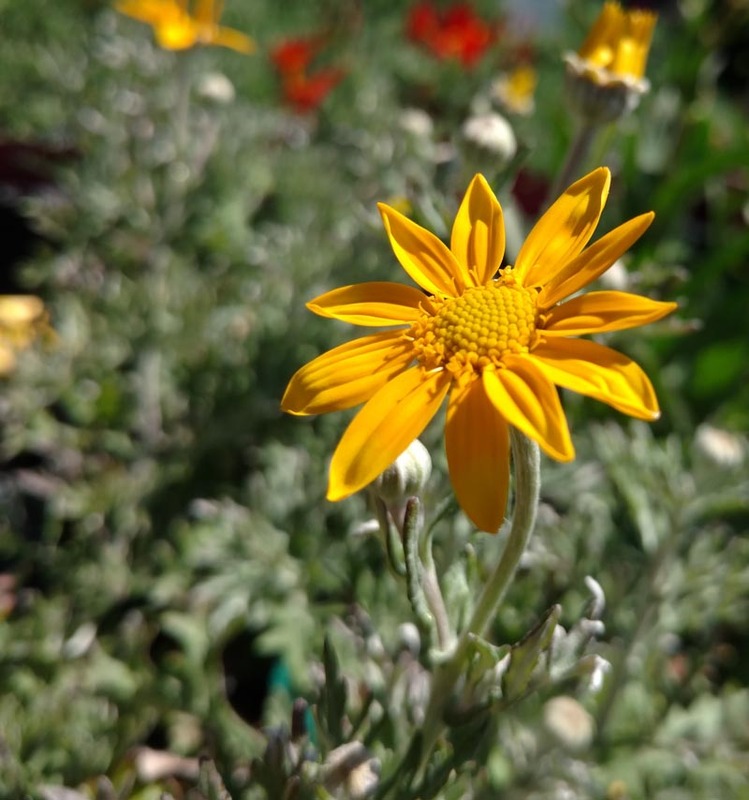 Tidy and low-growing groundcover, blooms pop up to 12″h. Cut back after blooming.